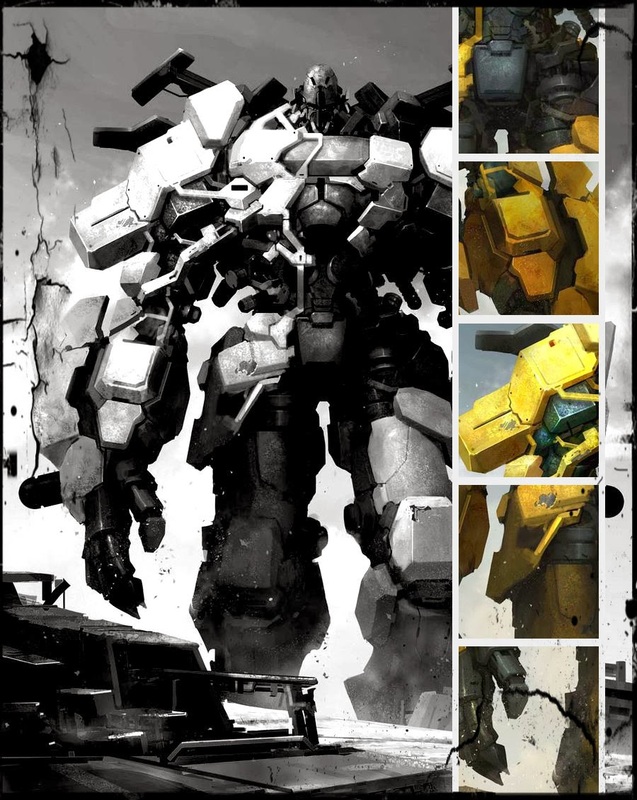 "An engrossing sci-fi fantasy with captivating characters." 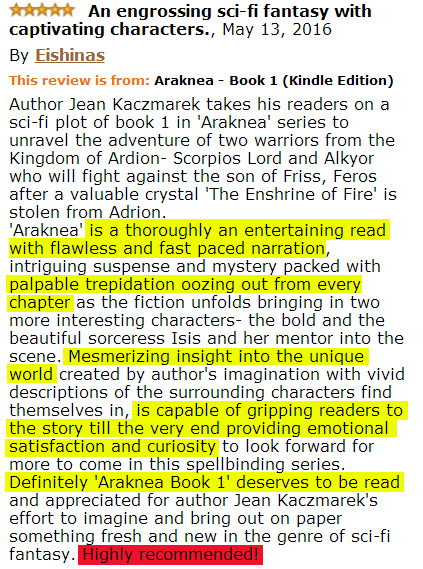 Author Jean Kaczmarek takes his readers on a sci-fi plot of book 1 in 'Araknea' series to unravel the adventure of two warriors from the Kingdom of Ardion- Scorpios Lord and Alkyor who will fight against the son of Friss, Feros after a valuable crystal 'The Enshrine of Fire' is stolen from Adrion. 'Araknea' is a thoroughly an entertaining read with flawless and fast paced narration, intriguing suspense and mystery packed with palpable trepidation oozing out from every chapter as the fiction unfolds bringing in two more interesting characters- the bold and the beautiful sorceress Isis and her mentor into the scene. Mesmerizing insight into the unique world created by author's imagination with vivid descriptions of the surrounding characters find themselves in, is capable of gripping readers to the story till the very end providing emotional satisfaction and curiosity to look forward for more to come in this spellbinding series. Definitely 'Araknea Book 1' deserves to be read and appreciated for author Jean Kaczmarek's effort to imagine and bring out on paper something fresh and new in the genre of sci-fi fantasy. Highly recommended!